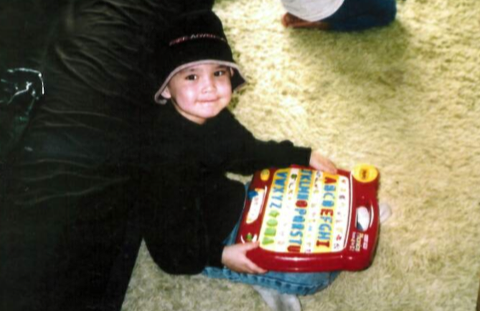 Trying to figure out how Phoenix Sinclair managed to slip through the cracks of Manitoba’s child-welfare system and wind up murdered by a mother who was a walking red flag for trouble? It’s actually very simple, really. But, like most simple things, it’s incredibly complex and nuanced. As we’ve seen in the last few months, Child and Family Services is an incredibly complex beast. How it does things is complex. The problems it contends with are more complex than CFS is. I worked with a woman once in another field before becoming a reporter. She was very sweet and well-meaning. But under stress, she was an absolute nightmare. Under stress, her priority was to get whatever tasks she had to accomplish out of her face as quickly as possible, no matter if they were done appropriately or with due care or attention or not. I chalked it up then, as I do now, to human nature. That’s just how she responded to having multiple — and sometimes competing objectives to fill — and had no time to accomplish them and make everyone happy. Clients would leave nonplussed, but to my colleague, it was all good — she felt as if she did her job. Fast forward to today, when the last CFS supervisor to eyeball Phoenix Sinclair’s case spent an agonizing second day on the witness stand, called to account for a case she had no real reason to give too much attention to in March 2005, for reasons explained below. The final protection file opening and subsequent closing for Phoenix appeared doomed from the start to not produce any meaningful intervention by CFS. And in hindsight, we can judge and condemn all we want, but the reality is, taken in the context of the CFS crisis-response system which existed back then, Phoenix’s case likely got more attention from the system than it might have otherwise, strange as that is to suggest given the outcome, I know. 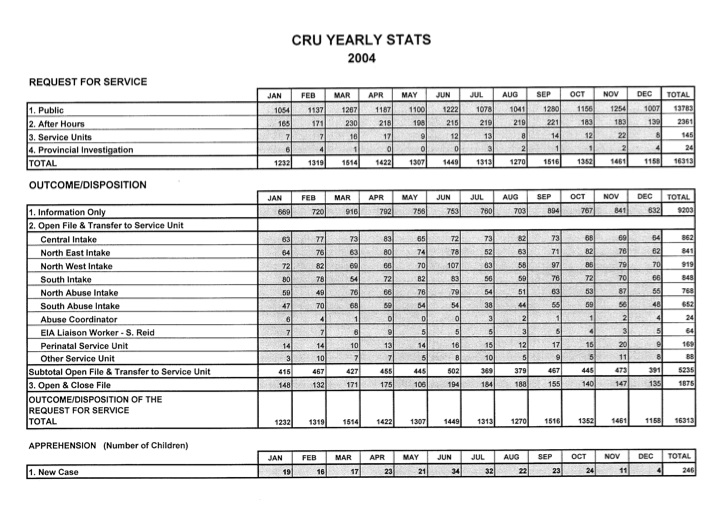 That March, CRU took it’s usual hefty number of referral calls — 1,311 — following a February where there were 1,342, which resulted in just a handful of the available CRU field workers doing 529 investigations over the 20 or so business days available to them. The math worked out today laid bare the grim fact that workers doing field calls — workers like Richard Buchkowsi, Christopher Zalevich and Bill Leskiw — were basically given 1-1.5 hours to work on each of the five new files they would be handed each day. Nobody appeared to have any training in the provincial standards, and there also appeared to be several schools of thought on which standards actually applied at the time. There were older ones and newish “draft” ones floating around. In the absence of that, Faria says “best practice” was the standard — trying to meet “optimal outcomes” for kids given the myriad of challenges her unit faced. And that’s just a hint of the structural/internal stuff going on, just months before Winnipeg CFS went “live” under devolution (although the exact impact this sea change had on the CRU/Intake procedure has yet to be fleshed out in full). March 5 (a Saturday): The call comes in to the after-hours unit (AHU). A CFS foster parent gives second-hand information alleging Phoenix was being abused and possibly locked in a room by Samantha Kematch. The source who made the call to AHU suggests she was met with argument after refusing to divulge who was giving the information. She also disputed whether call-taker Jacki Davidson captured the full spirit of their conversation. Davidson also cut-and-pasted a file history on Kematch and the case (a practice, no surprise, which is now forbidden). The history missing key information from January 2004 and December 2004 past interventions — One of them possibly because of a computer glitch. It also contains no mention of ‘Wes McKay’ for whomever gets the file to follow up on. 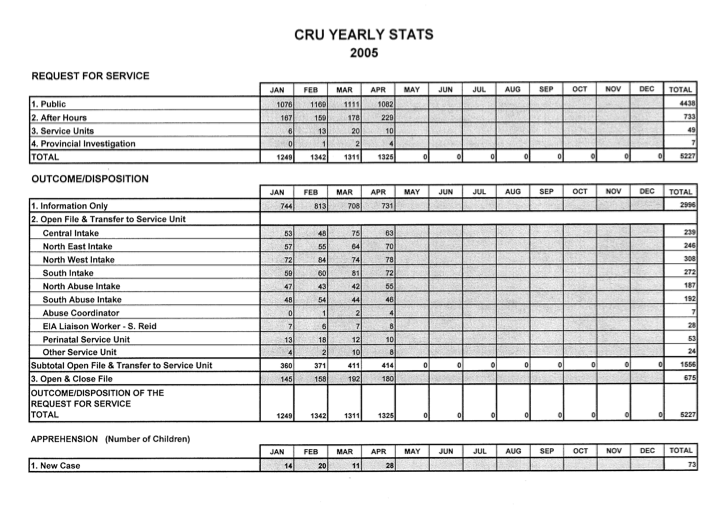 The file Davidson worked up is also, for some unknown reason, missing a routine “Safety Assessment” form which would tell the CRU worker how quickly they should respond. The file sits until Monday morning, when supervisor Diana Verrier passes it off to worker Richard Buchkowski. Buchkowski doesn’t hesitate to act, believing the case to be a “high priority” to look into. He gets right on it, the file shows. He calls welfare, which for some reason has no record of the family. His next call is the Winnipeg School Division, which nets him an address. He then proceeds to go to Kematch’s apartment twice that day but couldn’t get in. (see Sunday’s blog). He goes back to the office and recommends the file — now 48 hours old and reaching the expected shelf-life of files in CRU — be passed up the chain to intake for them to look into. That’s their job — and it seemed to work just fine in January 2004 and January-February 2003 when intake workers followed up. Intake, however, rejected it. Nobody knows why — or at least they’re not saying — but heavy workload is clearly an influence. The same day Buchkowski and Verrier say the file should go upstairs, Diva Faria gets the file back and hands it off to Zalevich near the end of his day. It’s unclear why, but it sits for another day before he heads out to Kematch’s home with Leskiw. One thing was clear, and Faria admitted it freely: This was a child-protection investigation. She expected Zalevich, the primary, to review any available information on Kematch and Steve Sinclair’s cases which was available to him on the computer (he doesn’t have appeared to). Leskiw, she said, was a more experienced worker who she expected would step in and “redirect” Zalevich if he missed something important (Leskiw denies he was really there for anything but to preserve safety in case things got volatile or an apprehension was warranted). Faria expected workers to prepare their own case histories, she testified. (Zalevich worked off the incomplete one as written by Davidson. Leskiw says he knew nothing of the case). As already made apparent in several reports, the workers show up and Kematch won’t let them in. They instead meet with her outside her door in her building’s tiny hallway so they can speak privately. She effectively blows off any abuse, admits to having a lock on her door and they caution her about it. She shows off her healthy baby and declines services. They leave her a card. Zalevich and Leskiw return to the office. Zalevich says he and Faria discussed the case and she said it could be closed despite the fact Phoenix wasn’t seen by him. She can’t recall any discussion or testify to anything beyond what’s in the file notes. Nevertheless, as we see, Zalevich typed up his file and recommendation to close it, saying, “workers did not note any protection concerns“. Faria signs it and the file is closed. There’s huge questions which were left hanging. The most important of them being: How does it compute that there’s an abuse allegation and workers left without seeing the child and then state there’s no child-protection concerns? The workers didn’t go in the apartment or see Phoenix’s living environment or examine the lock on the door, so how can there be a finding they noted no protection concerns? Phoenix, it can’t be understated, was four years old and not in school at this time. Why does it matter that they “did not note” any protection concerns? Is the question to be asked not: What efforts were made to substantiate or disprove the allegations? “Yes, if it’s achievable based on the organizational and systemic challenges,” she said. And, like it or lump it, those challenges were real within CFS. And there was work done on the file — done by a unit that shouldn’t have really had it in the first place. In many ways I think what Faria was trying to say in a lot of her answers was that the system, at the time, was engineering paths to failure. But there’s no getting away from the fact that it was her oversight on the file which is why she was in the witness chair answering questions. “If you’re not able, you don’t have any child-protection concerns,” Faria replied. So there you have it: In the odd logic of CFS circa 2000-2005, you can’t be expected to find what you’re not looking for. On the flip side, Faria, like Zalevich, shouldn’t be blamed for being put in a situation where failure seems like an inevitable outcome. Intake should have taken the file. I’m hoping we find more about why they didn’t. 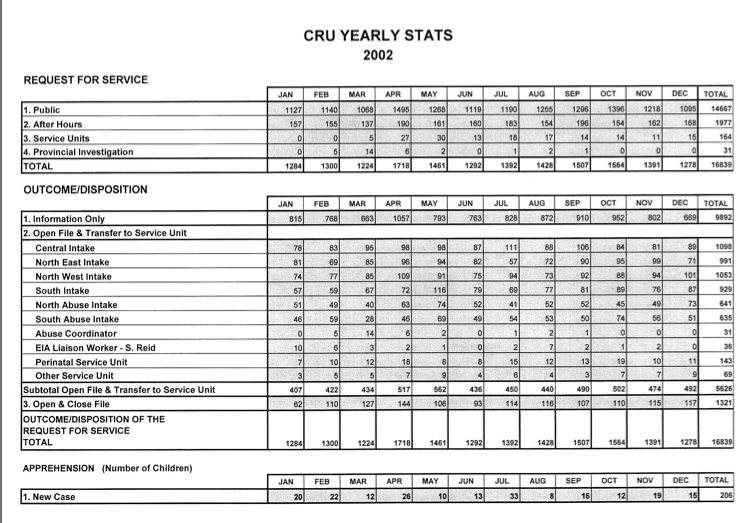 Will add more of the CRU statistics disclosures as they are posted by the commission. I can say that from what we’ve seen, referrals stay consistently above the 1,000/month as time goes on. The Mental Health Commission of Canada released voluntary standards for psychological health and safety in the workplace last week. You can download them here. Interesting to consider the position of the frontline workers viewed through that lens. I expect the working conditions cause a great deal of distress…that is costly to the workers,their families, the agency, and ultimately to taxpayers. We could certainly be doing better for our kids in need of protection and the public sector workers who try to serve them.